What defines and differentiates Alexander lessons? Alexander lessons are individual to cater to your specific needs. Lessons teach you how to self-work by applying Alexander’s preventive principles that allow a return to natural balance, free from harmful postural habits and habits of reaction. 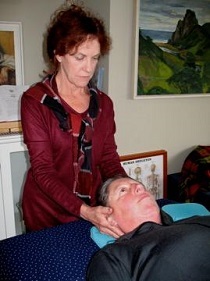 You experience the teachers gentle, highly skilled hands-on that balance the head, neck and back relationship that in turn brings about fine co-ordination throughout the body and allows natural breathing. You can then mindfully apply the principles in all daily activities and interactions, at work and at play to not only be free from stress, anxiety and postural pain but also to enhance performance ability (music/sport), health and well-Bring. In learning to apply Alexander’s preventive principles you integrate the body/mind/self, you make on-going change and you have a practice - skill for life! An introductory consultation and lesson is one hour. Following lessons are 30-40min. After the initial consultation the teacher will be able to advise how many lessons you may require. As an individual the number of lessons differ from person to person. A course of lessons taken as close to one another as possible is recommended in order to learn to apply the principles for on-going change and improvement. Children require fewer lessons. 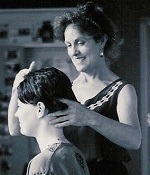 "Alexander Technique is a system that integrates the head with the heart ... it opens the mind, frees the voice, releases the body and nurtures the imagination." Artistic Director, Shakespeare Festival, LA.